In a departure from the typical showcase format of on-stage presentations, eight cleantech companies will deliver their elevator pitches to small groups of investors before fielding questions. A portion of the evening is reserved for the investor community to share their investment theses and areas of focus to highlight cleantech co-investment opportunities in Vancouver. Leading startup and tech research consistently shows a clear need for deal flow events like the Cleantech Investment Showcase. 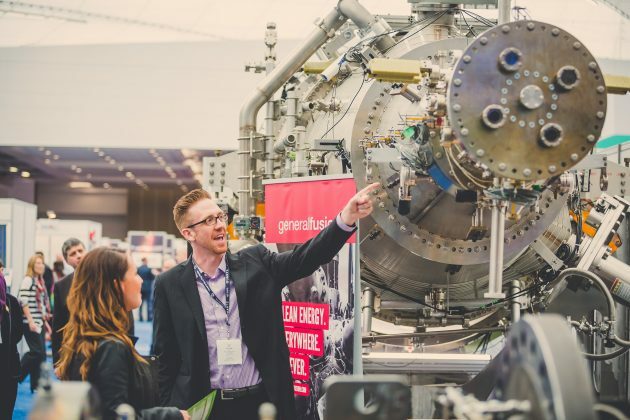 Moreover, owing to a trend of risk-averseness in Canadian financial institutions, even innovative and cutting-edge companies in the cleantech sector may struggle to gain traction and scale. However, increased early adoption by large institutions will continue to move the dial on this issue, and increasing the engagement of Vancouver’s agile investor and venture capital will only accelerate the process. Each company in the showcase has been vetted by a group of key representatives from venture capital groups in a committee chaired by Pangaea Ventures. The Showcase is part of GLOBE Forum 2018, the world’s largest leadership summit for sustainable business. Are you an investor interested in attending? Contact us today at info@vancouvereconomic.com. TZOA is the developer of technology that helps residential heating & cooling (HVAC) contractors manage their customers’ homes using sensors, scientific information, and software. Our product Haven uses artificial intelligence to automate contractor services such as HVAC maintenance contracts, air quality inspections, thermal comfort analysis, fault detection and diagnosis (FDD). Usually these are spot checks services but we have developed an IoT product called Haven that offers continuous real-time monitoring, analytics and alerts. Our company has leased a 5000 square foot office in Gastown that includes software development, an electronics lab, and a manufacturing area. Our employees previously worked at Teradici, Avigilon, Cooledge, Telus, Conversion Works, MistyWest, Creation Technologies and Dorigo, and we have several PhDs and BASc from UBC and University of Calgary. Our customers include large multi-billion dollars companies and we have signed distribution agreements nation-wide. We are a building technology company that has created an advanced manufactured building system for mid- to high-rise construction and is now developing a digital design platform to connect architecture and engineering with smart manufacturing (Industry 4.0) to deliver projects in a timelier, coordinated and more cost-effective manner. Our mission is to deliver buildings that enable people to ‘Live Better’ and in the process to create: (1) Economic Value – higher quality, future proofed buildings delivered in a predictive and more cost-effective manner; (2) Community/Societal Impact – expedited/streamlined delivery of turnkey building solutions to meet the housing demands of the 21st century; and, (3) Environmental Benefits – improved building performance and optimization of energy and natural resource consumption during both manufacturing and building operations. Ecotagious combines big data with social psychology to help utility customers meet their demand savings, energy efficiency and customer retention targets. Its SaaS-based offering drives conservation by providing utilities’ residential customers with appliance-level feedback. This feedback is generated from Ecotagious’ proprietary smart meter data analytics that disaggregate hourly smart meter data into major appliance loads.With customers in Canada, the US and ANZ, Ecotagious’ solution is delivering best-in-class results to customers around the World. And by partnering with other software solution providers with existing utility customer bases, Ecotagious is able to reduce typical sales cycles and reach more utility customers in order to drive rapid growth with a sticky solution. Acuva is commercializing UV-LED technology for use in low power, maintenance free, and environmentally friendly water purification applications. Acuva develops and manufactures water purification products designed for Point-of-Use (PoU) consumer applications, either as standalone products or integrated into other products. As standalone products, a comprehensive package (purifier module, casing, etc.) is provided to fit in line with existing plumbing and purifies water at the tap in real time immediately before consumption. As integrated products, stripped down modules are installed inside another appliance and purify water as required. We engineer beautiful products made of 100% recycled chopsticks. ChopValue Manufacturing Ltd. is a product development and design startup that creates innovative materials with recycled chopsticks as resource. By setting an example on how to create impact on value added product design, ChopValue developed a novel process that turns recycled chopsticks into high performance design products with a story that everyone can relate to. Clir is an affordable software that provides a complete solution to understanding the performance of renewable energy power plants with clear actionable items to maximise renewable project returns. Clir Renewables is developing and marketing a ground breaking new product to the renewable energy sector. Clir is providing a renewable energy asset management and reporting software platform that will create a step change in the renewable power industry, particularly in wind farms, boosting operating performance and thereby improving revenues. At this stage of evolution of clean energy options, financial performance is increasingly a key variable. Augmenting system performance can render more proposals viable. The world’s most advanced loss reduction and grid monitoring platform. A very scalable and affordable approach to grid monitoring, energy balance, and analytics. We harness the power of IoT, Big Data, and AI to bring True Grid Intelligence to the energy market. True Grid Intelligence (TGI) is a unique platform that takes a smarter approach to finding issues on the distribution grid. TGI brings together a variety of cutting-edge technologies to address non-technical losses and allow utilities to audit and monitor their distribution network in real-time. Low cost passive cooling technology for high-value temperature sensitive products. 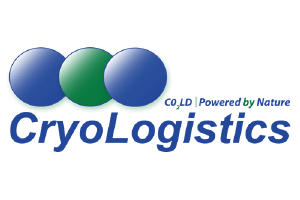 CryoLogistics is a privately held BC-based company that has developed a natural, passive refrigeration system for transporting high-value temperature sensitive food, pharmaceutical and health science products by land, sea and air. Join us in Canada's fastest growing economy and one of the greenest cities in the world. 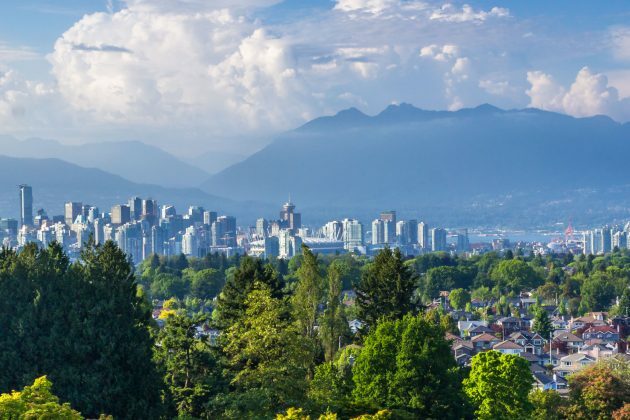 For GLOBE Forum 2018, the Vancouver Economic Commission and the City of Vancouver are working closely with GLOBE to support the development of interactive program activities, sessions, and workshops; and facilitating targeted B2B and investor meetings.